Q: What is the difference between Arrow Academics on Wednesdays & Arrow on Fridays? A: Arrow is a drop-off academic & enrichment program that supports parents in their role as the primary educator of their children by offering a structured classroom model to complement their studies at home. Classes meet for 26 weeks on Fridays and are offered in an ‘a la carte’ manner to allow parents to choose which classes are best suited for their child. Arrow Academics is rolling out fall 2019 and is designed to be a partnership with homeschooling parents. Classes will be offered for 30 weeks on Wednesdays for middle and high school students. The courses will continue Arrow’s commitment to a Christian worldview and will be designed to both strengthen study skills and achieve a high academic standard. High school classes will be graded; some middle school offerings will be graded as well. Depending on the course, there may be prerequisites to maintain academic standards and classroom success, and both math and modern foreign language will meet two days a week on Wednesday/Friday. Q: Does my child need to enroll in a full day of classes? A: You may pick and choose which classes work best for your schedule and your child's academic endeavors. Classes are provided in an "a la carte" manner to best suit the needs of your family. Q: What if my child has an open period between classes? A: We offer a supervised Study Hall. Students in Study Hall are expected to bring independent reading or schoolwork to allow for a thoughtful, creative and/or productive hour. Look for the Study Hall option during registration. Q: Will there be homework and tests? A: Arrow will provide a homework component to most Friday academic classes. This is generally geared around pre-reading material and/or completing some type of assignment. Students thrive in the classroom when they are prepared to contribute and engage the material in a meaningful way. Primer students will likely need a parent to work with them during the week to be prepared for class. Each Friday class does not generally assign more than 60-75 minutes of homework per week. Please consult class descriptions for more information. Arrow Academic courses are designed as an academic step up for middle school and high school level classes. Each class description will have an estimated homework load, which is assuming an on level grade student. Students are required to complete the homework and participate in class, and may face removal from a particular class if they are consistently below a 70%. Please consult the class descriptions and prayerfully consider the requirements of each class before enrolling. Q: Do teachers provide tests in the Arrow & Arrow Academics classes? A: While there are no tests or grades given on Fridays, some academic classes do provide take-home tests for parents to administer if they choose. Arrow Academics will provide tests and grades for all high school classes and some middle school classes. Q: Will there remain classes for my middle schooler on Friday now that Arrow Academics classes are on Wednesday? A: Yes!  We understand that not all middle school students who are currently involved in Arrow will switch over to Arrow Academics on Wednesdays. As such, we will still provide 6-8th grade academic & enrichment classes on Fridays. However, for middle school students ready to sharpen their study skills, increase academic rigor and prepare for high school level classes, Arrow Academics will be a great stepping stone on Wednesdays. Q: Will there be any preliminary testing or evaluation for new students before they begin classes? A: Arrow does not require preliminary testing for enrollment. We work collaboratively with parents to determine the child's appropriate class level. Please consider carefully the level of class and outside requirements before enrolling. Arrow Academics will require placement testing for math courses, as well as have prerequisites for some classes on an honor system. Q: What is a typical Arrow Academy class size? A: Researchers have found that gains in achievement generally occur when class size is reduced to less than 20 students. To maximize effectiveness as well as encourage classroom discussion and hands-on activities, maximum class size at Arrow varies from 10-16 students. Q: Q: Do you offer standardized testing? A: Yes on May 7-9, 2019 we will offer standardized testing. For more information or to register your child, email Michele Miljas at Michelemiljas@gmail.com. Q: I would like to teach a class. How do I begin the application process? A: If you would like to teach a class, email AdelZappasodi@gmail.com. We will start by sending you an application for employment. Please note: All employees will undergo a background check for the protection and safety of our children. Q: Do you offer a multi-student discount? A: As a non-profit ministry, our tuition is kept as low as possible to sustain overhead & pay teachers. We do not offer a multi-student discount. However, if you find you are in financial need, please submit a scholarship application and return to Adelzappasodi@gmail.com .